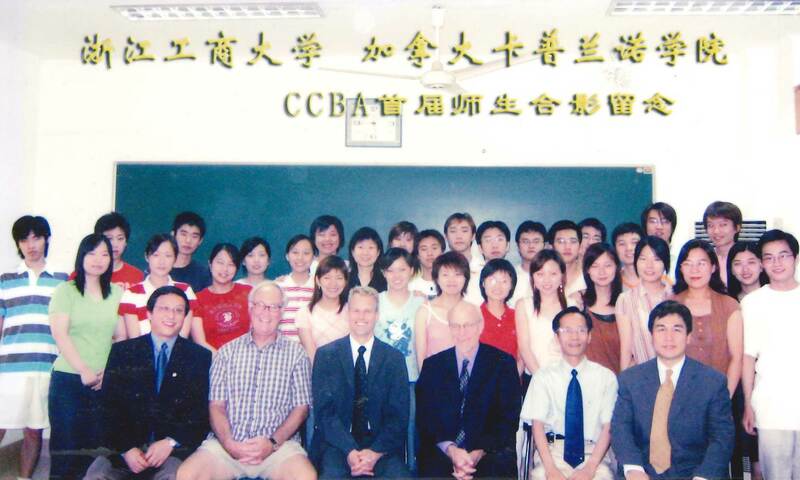 In 2001, three years after Capilano then-College started teaching Canadian curriculum in China, The China Program expanded to five locations throughout the country. The program not only provided an opportunity for Chinese students who often had difficulty obtaining visas to study in Canada, but also for Capilano College employees to broaden their horizons. Allen Zhu, the director of The China Program, who was born and raised in Beijing, worked to prepare Capilano College employees, some of whom had never travelled beyond North America, for the living conditions and culture they’d encounter. They could end up working with Chinese employees who didn’t speak English or employees that spoke English but operated with different cultural manners and mindsets. “For example, in Canada, you don’t ask how old are you, how much do you make, but in China they ask you this constantly,” Zhu says. “Sometimes, [Chinese colleagues] invited us to have dinner. There might have been dog meat, snake, live shrimp jumping on the table,” says Zhu. He was proud to see his colleagues adapt. Capilano College was the first post-secondary institution in Canada granted permission to run a program in China. Its 2 + 2 Program was the first of its kind. Students learned Canadian post-secondary curriculum for in China two years and then studied in Canada for two years. They could study at Capilano College or transfer, without difficulty, to earn diplomas, bachelor’s and master’s degrees, with post-secondary institutions including SFU, Ryerson and Royal Roads. Shifting priorities saw the program discontinued nearly a decade after it started, but Zhu says its legacy continues.